What's the difference between 停车 (tíngchē) and 泊车 (bóchē), which both seem to mean “park car”? 泊车 meaning something like "anchor car" and 停车 meaning "stop car". Question: What's the difference between 停车 (tíngchē) and 泊车 (bóchē), which both seem to mean "park car"? No Parking mean you can stop the vehicle there, and you can load or unload people and goods, but you can't leave the vehicle unattended and go off. No Stopping means no dropping people off or picking them up, and no loading/unloading. You're not supposed to be there unless you're moving. The signs above the text should clarify - they are international signs and there is only a slight difference between the individual meanings of Stopping, Standing/Waiting, and Parking, anywhere in the world. 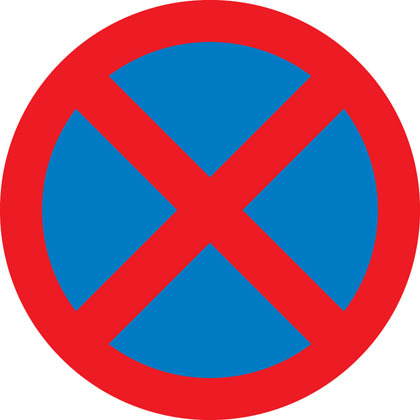 No Stopping signs are the strictest, and No Parking signs are the most lenient. People are missing an important point here. 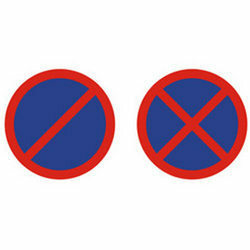 停車 means stopping -- look at the sign, it is a cross: two red lines on blue. This means that not only you can't park, you're not allowed to stop at the curb (to drop off or pick up someone). 泊 has the meaning of stop, which was used in term "泊船" (put a boat ship alongside quay / land), and "泊車" (stoping a chariot / car). both terms appeared in literatures of yore, describing the stopping status of vessels, or vehicles. here, "泊車" had the meaning of "stopping a vehicle" (i guess it's chariot). 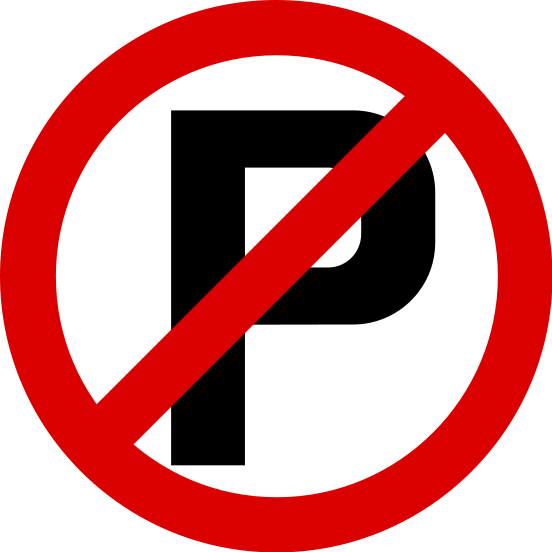 i would say that "parking" is translated to 泊 originally (according to the meaning), then with the influence of english, the cantonese pronunciation of "泊" (bok6) derived another pronunciation paak3, to stimulate the english pronunciation of "park". 泊 is not phonetic loan from "parking"
Stumpy is right. actually "泊" is transliteration of "parking", so "泊车" is closer to the meaning of "parking". In my opinion, the scope of "停车" is bigger than "泊车", any action of "stopping a car" can be recognized as "停车"; When stop and get off the car to do something long term(go shopping or go to hospital...), we can consider it "泊车". I believe they mean the same thing. In Cantonese, 泊 is pronounced paak3, so I'm pretty sure that it's a phonetic loan from English "park", with the character chosen to be at least suggestive of the meaning (as opposed to some other character pronounced like paak). However, as you've noticed, both 泊车 and 停车 are in use on the mainland, regardless of whether 泊车 came via Cantonese. 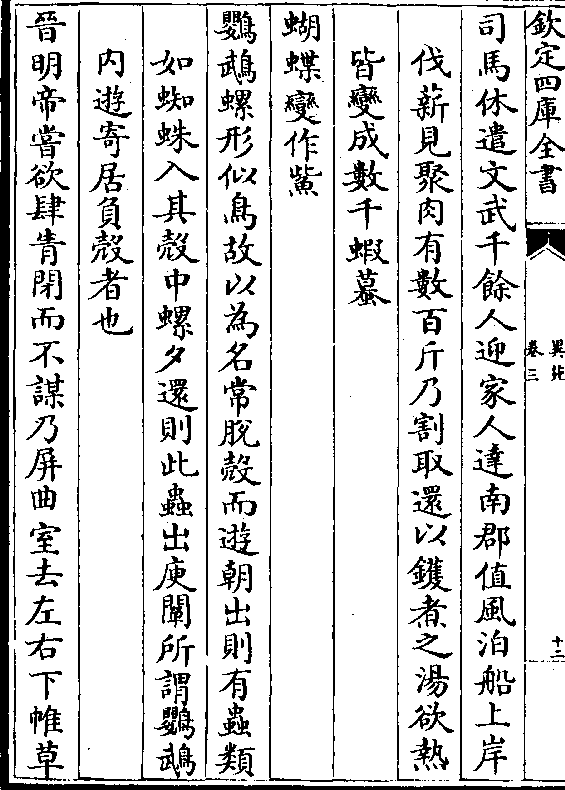 how to search words / clauses in classical / literary chinese? Difference between 想 and 要? What is the difference between 抽烟 (chōu yān) and 吸烟 (xī yān) which both pertain to smoking? Is there a distinction between 禁止 (jìnzhǐ) and 严禁 (yánjìn), which both mean “forbid”? What's the difference between 扣好安全带 (kòuhǎo ānquándài) and 系好安全带 (jìhǎo ānquándài), which both seem to mean “fasten seatbelt”? What is the difference between 经验 and 经历? What's the difference between 拍照 (pāizhào) and 照相 (zhàoxiàng) which both mean “to take a photo”? What's the difference between 应急出口 (yìngjí chūkǒu) and 安全出口 (ānquán chūkǒu) which both mean “emergency exit”? Is there any distinction between 二百 (èrbǎi) and 两百 (liǎng bǎi) which both mean “two hundred”?